Hola everyone, hope you guys are having a great weekend (or weekdays). Finally the wave of hecticness is a lil bit tamed down now, thanks to the holy month Ramadhan. At least now I can sit back, sip a cup of tea, and write something on this blog. 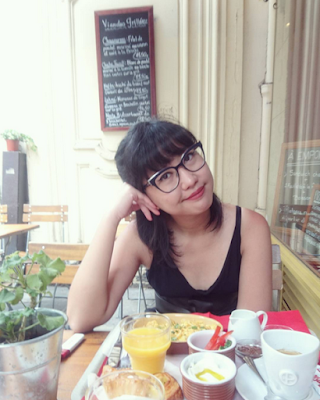 Just another fashion related post that I find interesting to be written about. Fashion industry is a fast-paced world that demands the freshest creations to be highlighted and yet to be desired, and as a Fashion Editor, one of the most fun things I got to do is scouting and doing some researches about the new emerging labels and/or designers, both locally or globally. Just like how we love to see new trends and new faces on the runway, we editors gets very excited whenever we see new talents with their stunning works and instantly feel the urge to share it with our readers. It's the nature of our job. 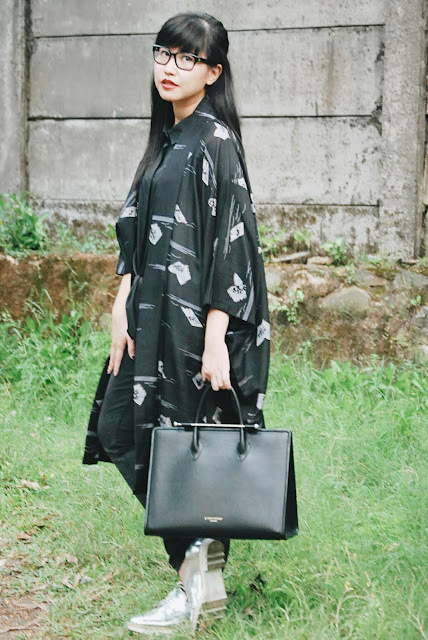 So one fine day, in the midst of my never-ending works, I took a quick moment to browse some of my favorite fashion blogs (which I haven't done in quite a long time, say maybe a year or so) to have my dull mind re-freshened. 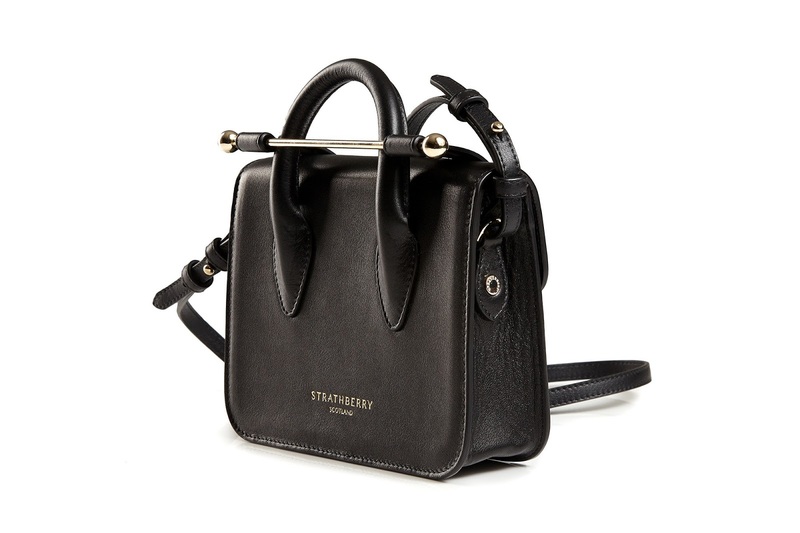 Then I stumbled upon this new label called Strathberry of Scotland that presents beautifully-designed handbags that celebrates the beauty of minimalism and simplicity at its finest. I was hooked at the first sight, and the inner journalist in me wanted to know more about the brand. So I browsed their website, and I was completely drooling over some of their adorable bags. Their designs are a tad limited at the moment, but they're all just so beautiful I want to have them in every sizes. Sleek modern design with a touch of Strathberry signature metal bar is totally captivating. Plus, they come with a beautiful luxurious packaging! Another cool fact about Strathberry of Scotland is that they come with a pretty affordable price. 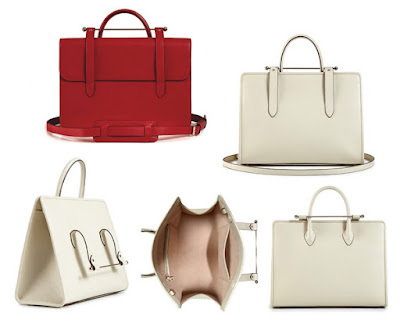 At a glance, I and some people would definitely think Strathberry bags must be costly, because they look very luxurious. Not to mention how meticulously made they are. I was so sure that this brand will be the next big thing in modern fashion industry. This is the real definition of affordable luxury. So here's my first Strathberry of Scotland bag: the signature MC Tote in full size. This bag is super sleek, roomy, and to my amusement, very light-weight. It comes with an extra long strap to free your hands, but I personally think this size is a lil too big to be worn as a sling bag. However if you have a tall figure then it should work both ways. Close-up look to my Strathberry of Scotland MC Tote. I've always been a shoe-person but this bag is special, and now I'm thinking of getting the MC Tote in Midi or Nano size, which is the smallest. The color ranges are also very beautiful, I've always loved black but the red one really makes a fashion statement. 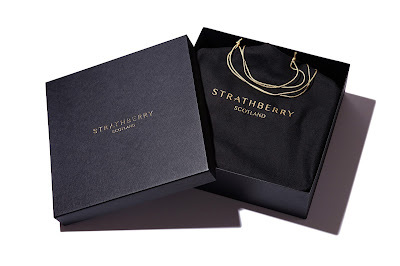 Check out Strathberry of Scotland site now and tell me which one(s) is your favorite? I can't even tell, I love them all.